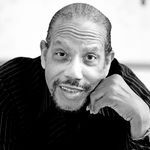 Born into a family of talented entertainers and musicians; his Dad, an articulate and respected North Jersey Baptist pastor, Edy Edwin Smith was exposed at an early age to the challenges and dichotomies attendant to spiritual and secular lifestyles; typically considered opposing worlds. His life tales include confrontations with a myriad of issues including multiple marriages, divorces, extensive periods of unemployment, homelessness, spiritual conflict, disillusionment, uncertainty, and even turning away from God. These challenges, as well as overcoming health issues to include prostate cancer and open heart surgery, have led Edy to understand the true meaning of love, as embodied and intended by our creator, of purpose, relationships, and God's infinite goodness, which is rooted in love. They have uncovered the reality of how limited societal and political reasoning and awareness truly are. Most importantly, Edy became consciously aware of our connection to and relationship with God, ourselves and each other as spiritual beings. Therefore, discovering a “framework for his reality,” which is portrayed in his authorship. Success! God is Love sold 2 pre-orders by Nov. 23, 2015, and will be self published. - Enrollment in "Framework of Reality"
- Author personal appearance and book signing at sponsor developed and promoted fund raising event (Coordinated with author staff, as necessary. Sponsor to be responsible for travel.lodging and meal expense for author and designated associate). 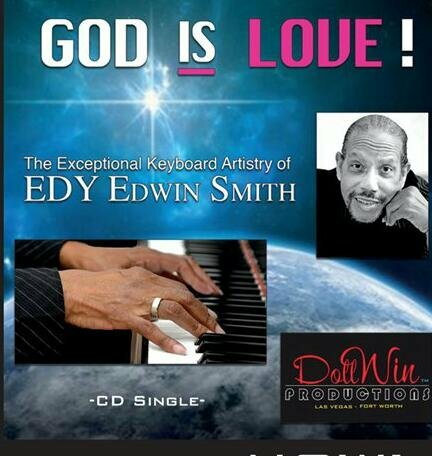 An accomplished Piano Entertainer, Edy Edwin Smith shares an enlightened treatise on Love, the absolute essence and entirety of God! God is Love. "Framework of My Reality." The Scriptures not withstanding, much has been written about God and Love... about his love for us, why we should love, honor, worship and praise him, etc. While taking no exception to such expressions, author Edy Edwin Smith focuses on what he has experienced to be an even more significant and spiritually fundamental reality. God IS Love! Love is the foundational essence of, All existence, of all created by God, who IS Love; also self described as Spirit. As we are created in his image and likeness, we are therefore also Spirit, living and functioning in the "space suits" he, God, created for us. We call them our human/physical bodies. Therefore God, being the embodiment of the spirit of love, so then are We. Accordingly, the book addresses the entirety of God; our relationship to and with him, ourselves, each other, and all creation. These begin as and continue to be one-on-one relationships, that branch out to form others. Their quality, totally dependent on the quality and integrity of the initial one-on-one. It begins with God, the creator, the Alpha and Omega principle. God cannot be compartmentalized, and must be contemplated within the context of entirety. As Love represents the essence of God, Love is also the essence of life...our very existence, our entirety. In sharing his personal life tales, inner knowings, and experiences, the author addresses the part he has found religion has played in perpetuating ignorance, misunderstanding, and a plethora of ills, that plague our lives and societies. He points out, however, that this has been taking place long before the earthly sojourn of Jesus, and is, in fact, among the reasons for his incarnation, death, and resurrection. The book clearly points out that God is not about religion. The book also ventures into the too often verboten area of sexuality, a subject wherein religion has traditionally been less than straight forward, except for its well known “don'ts. There are, new, bold, and significant, sexually enlightened messages being shared from a growing number of religious and spiritual platforms. This book not only supports that, but also encourages its readers to recognize the spiritual purpose and intent of God, who created our sexuality as such a powerful and compelling part of our beings. Accordingly, the discussions herein are frank, highly explicit and intended to be “mind opening". It is essential reading for those concerned about marriage and relationships. This book further suggests that Love, is the foundation of a way of being far more acceptable and desirable than any alternative. Love is the ultimate overcomer of all evil and injustice. Any thoughts or ideas to the contrary are not those initiated by God, and, when examined, are fear based. God, the spirit of love, did not create within us a spirit of fear. GOD IS LOVE...three Simple words, that when truly understood and applied to the entirety of your life, will change the entirety of your life. Three simple words that sum up the bible. Three simple words that completely explain Jesus and his significance... that take the “Christianese" out of Christianity. Three simple words that are the “Framework of My Reality"...of All reality. Quoting him, Edy hopes that, “though written from the perspective and Framework of My reality", you the reader will be encouraged to consider and perhaps re-examine the "Framework of your own reality". If you don't already, you just may realize, as does he, that above all and anything else, GOD IS LOVE! Marketing and distribution activity is planned to avail the music of author Edy Edwin Smith to you, the reader, via the inclusion of my limited edition CD, which includes the hit single, God is Love. My goal is to raise sufficient funds to publish both paperback, hard cover and other formats for Kindle, iBooks, etc. I was in the early stages of publishing this book, when my attention was drawn to a rather significant and enlightening newspaper article. It was in a local community Christian oriented publication, with a story focused on a then American Idol finalist and “believer." The article essentially discussed his personal confrontation with, and the dilemma presented by, traditionalist attitudes and viewpoints concerning musicians who perform secular music, as professed Christians. It reminded me of one of the reasons I was compelled to write this book, and, that there are countless others who confront similar spiritual vs. secular conflicts. Such persons are not just limited to musicians, entertainers and others within the performing arts. My personal experiences have led me to the undeniable conclusion, that such conflicts and confrontations present themselves as a result of our inner knowing, and dialog communicated from God to us through the Holy Spirit. The original title for this book was to be RELUCTANT RADICAL, as I would be addressing things, that could well be considered radical, just as many of the teachings of Jesus were... radical, controversial, contrary to traditional beliefs and understandings. Admittedly, I experienced a bit of reluctance, because I knew the level of transparency that would be required. However once I began writing, I felt a reassuring and encouraging flow. I clearly felt the presence of the Holy Spirit guiding and assisting me, creating an even deeper awareness of how He has been working with me all my Life, preparing me for this very moment. It became quite clear to me that I simply must write this, and that its' real focus is not on my reluctance, nor is it on the content herein, being radical, because. I am neither. I am however a vehicle, a fellow spirit, sharing my experience, observations and resultant awareness, with all who are interested and, curious enough to read this, and perhaps recognize your own “inner knowing," - knowing, not conjecture, wild speculation, or delusional imagining. This book is about the reality and experience we share as spiritual beings, living within physical (human) bodies in a physical world, universe and planet. This isn't science fiction, or tales from Hollywood script writers. It's about US...the US that is GOD, Jesus, the Holy Spirit, and yes, you and Me! US! WE! This is not heresy, blasphemy nor taking from or adding anything to the “Word of God" It's exactly what Jesus lived and died teaching us, although He's really not dead, and He isn't a Zombie either. This book is about and speaks to Spirit...our oneness, our relationships, and lives within that contextual reality. It's really simple to understand and recognize, not complex and complicated. It's about reason as well as reasoning's, experience and experiencing, life and living, and above all Love and Loving. Humanity, as a whole does not understand this, even claiming such thoughts to be non-spiritual, while in reality, it is entirely spiritual. I limit the use of scriptural quotes and referencing, to give credence to my realities. The situations and experiences I discuss herein are relevant only to the specific circumstances of my life, before, during and even after, their occurrences...as were David's, The Apostle Paul's, Job's or “Pick-u'r-Prophet's". Even their accounting's are subject to the interpretations of a multitude of translators, in any number of languages. Then, there's the matter of those hidden recorders and cameras that captured “word for word" what God actually “spoke" to the biblical characters and scribes. Apparently they had access to some pretty intimate scenarios and inter-personal encounters. My intent is not to be disparaging of biblical accountings, yet I have reason to question the supposed “divine inspiration", understandings and motivations behind certain biblical and ecclesiastical sources; some having absolutely nothing to do with the reality and true nature of God. His teachings, through Jesus, and the purpose and workings of the Holy Spirit in our lives, is to guide, not control us, or to enslave our minds. I've come to know that the inner knowing of which I speak are about God speaking to us, reminding us of who we really are...that He is ever-present, always with and within us, and Above ALL else.....He IS LOVE! This was God, in spirit, communicating with me, in spirit, preparing me for what he, in his infinite wisdom knew I was going to experience in human, earthly, physical form. Teaching me to recognize and know, that no matter what I would face and encounter, he loved me and would always be with me...that he would never forsake me. Strengthening me to “fear not for I am with you always". He knew the talents and abilities He created within me. He knew the resources my journeys and missions would require...the things I would need to learn...and that I, in this very specific time, among other things, was to write this book. The authenticity of wisdom and knowledge can only be verified as reality through circumstantial application of a given premise based on specificity and an understanding of the laws governing cause and effect. All other conclusions are speculative, assumptive, or faith inspired acceptance. Contrary to the widely held belief, Christianity itself does not suggest that its' "believers" accept its precepts and teachings on “blind faith". It, instead, encourages us to "taste and see" (experience and know) the goodness, reality, the love of God...that GOD IS LOVE! Incidentally, my paraphrasing is no less inspired or valid, than that expressed in the wide variety of biblical translations, interpretations, and understandings, throughout their historical accountings. As I have, and continue to do so, I also encourage you to "taste and see"(Psalms 34:8) and to consider the significance of the entire chapter. Don't take my sharings, or those of anyone else, as anything other than our experience and awareness. This particular scriptural reference is definitely and powerfully relevant to my personal experience, a plethora of those I know, and to (since its' original writing), a countless and ever increasing number of others whose shared “inner knowing" is that GOD IS LOVE!